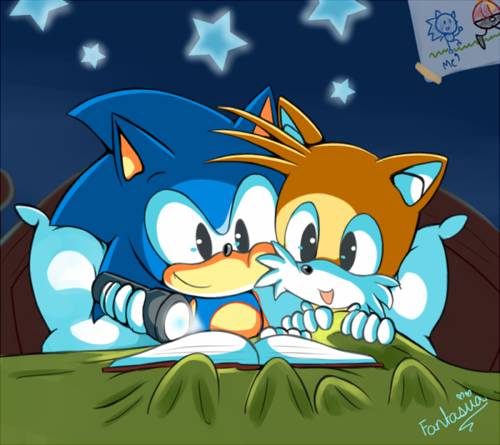 Sonic & Tails. . Wallpaper and background images in the Miles "Tails" Prower club tagged: tails little sonicx sonic x. "AWWWWWWWWWWWWWWWW!!! Fantasiia always makes these cute as hell pics!" i've seen this twice on this site and i know the person who actually drew this online on another website so you didn't draw this as far as i know!